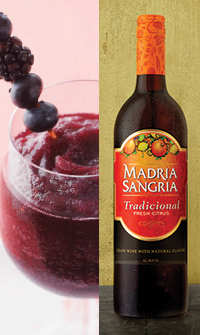 This frozen take on the traditional sangria recipe adds just the right colorful berry accent to cool, white lounge chairs, sun-bleached porches, warm fresh air, bare tanned feet and thirsty friends. Take your worries and throw them in the blender along with the rest of the ingredients. 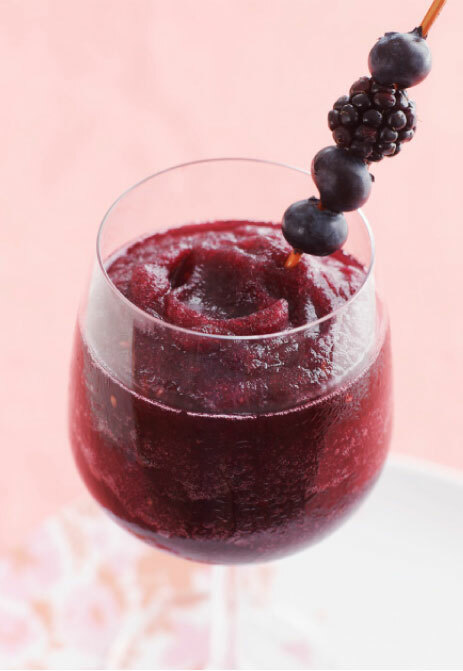 A playful, fruity garnish: strawberries, blueberries or blackberries. Use your imagination! 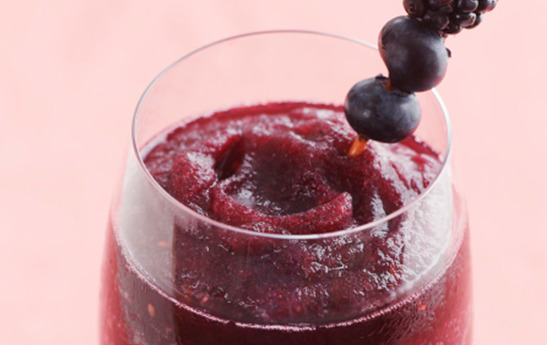 Dump all the ingredients in a blender, and puree until smooth. Divide among serving glasses, toast your friends, and enjoy immediately! Total prep time: No time at all.